A man works from sun to sun but mom’s work is never done. 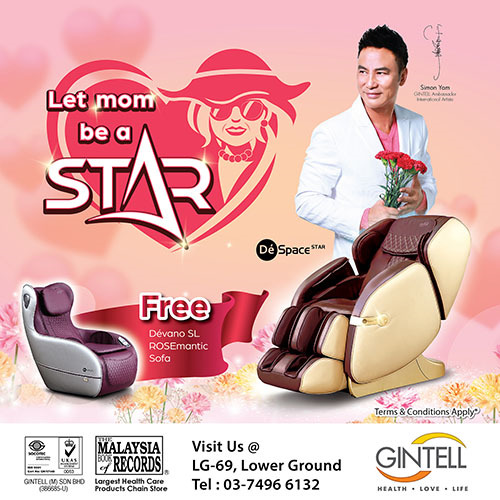 In conjunction with Mother’s Day, GINTELL DéSpace Star pampers our beloved mom a healthier therapeutic massage with its unique "Moon Hand" massage. Catch our ROSEmantic sofa worth RM4488 for FREE with purchase of DéSpace Star, only at RM305.22 per month! Let our mom be a “STAR”! Look no further! Visit our nearest showroom to find out more promotions now.